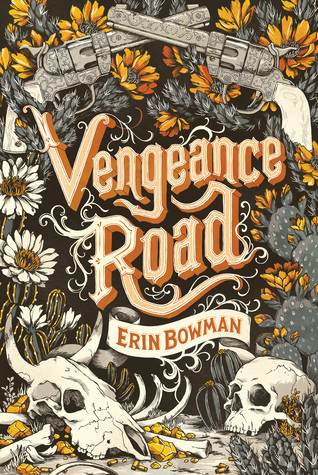 Vengeance Road sounds a bit like Walk the Earth A Stranger, seeing as they of the same genre but i'm liking the look of this book more. Its sounds more dangerous with many more questionable decisions on the part of the main characters and much more violent...... Totally want to make reading space on tbr list to put this book. I so want to try this! Great review Maja! I've read a few reviews for this book, but haven't wanted to read it as badly as I do now. I didn't realize how dark and gritty it is, and that's what I'm totally drawn to. Plus, the cover is so cool. Yay! I really loved this one too, something I was a little surprised about because I didn't think a gritty western would be for me. Wrong. I so loved Kate, and you're completely write, despite some of her questionable decisions and the blood on her hands I was still rooting for her throughout. I hope Erin writes more in this genre! I don't drift to westerns at all, but I'm really curious about this one considering how many positive reviews are out there for it. While I'm bummed about the romance, I'm glad everything else in this book was much stronger. I don't why I keep thinking of True Grit whenever I hear about this book. I really liked that this one was different. You dont' get many Westerns in the YA, even though I thought this was more of a NA read. Still it was fun and entertaining and dark and gritty. I'm glad you enjoyed this one. It's just a genre that I don't think suits everyone (including me).